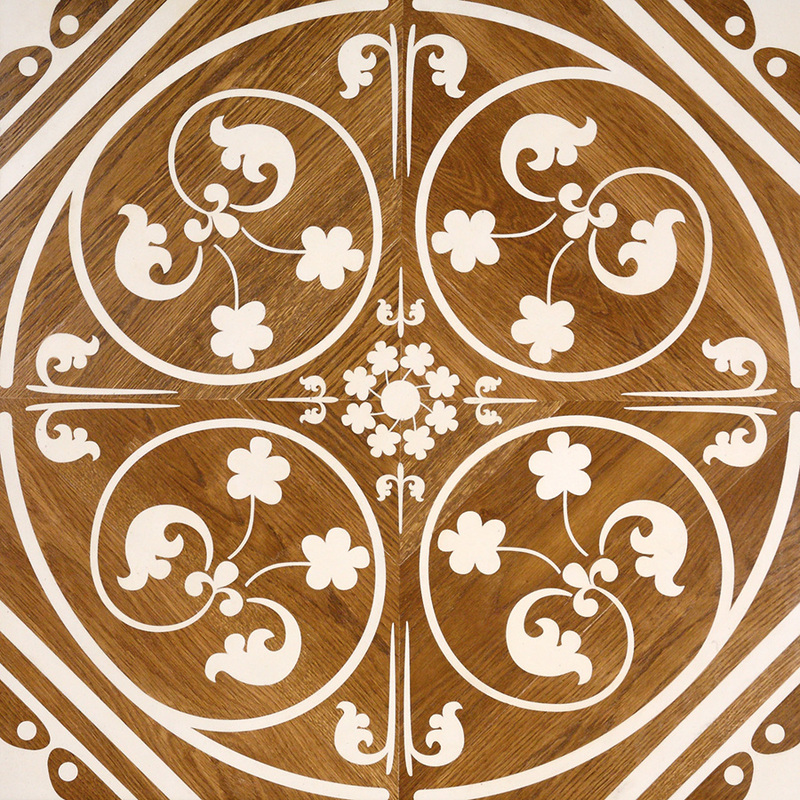 Gothic Influence pattern is a modern combination of geometry and flowers in oak and maple. Gothic Influence is a surface ideal as flooring or wall paneling and it is available in other combinations of materials and finishings such as, for example, chestnut and maple or teak and maple. Made in Italy. Customization available upon request.